Today’s giveaway for the 12 Days of Christmas is sponsored by a fellow Marylander. Patty’s Collection is a mom-owned business that features preppy clothing and accessories for the whole family. When Patty couldn’t find belts for her young son, she decided to take things into her own hands and design them herself! 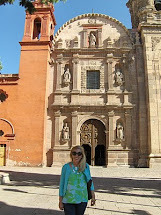 The end result is a fabulous boutique with adorable custom made items. If you love appliqués and monograms, then you’ll love Patty’s Collection. The Ribbon Tote Bag is at the top of my wish list from Patty's Collection! It would be the perfect bag to bring home papers to grade. I love the ribbon details and the monogram can be personalized in so many different ways. 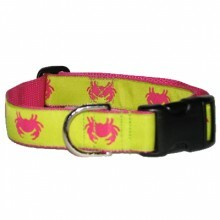 Your dog will be just as preppy as the rest of your family with this Hot Pink Crabs Dog Collar. It's a must-have for Maryland dogs, don't you think? The adjustable dog collar comes in multiple sizes to fit any breed. So after you've found the perfect tote for yourself and the preppiest collar for your dog, you can shop for the rest of your family at Patty's Collection. Her unique clothing and accessories for babies, girls, and boys is so cute. 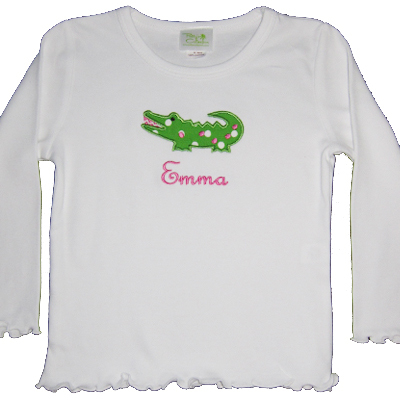 I love the Applique Alligator Girl's T-Shirt. 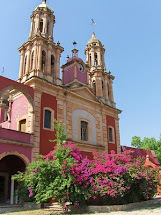 Pretty in pink and green! The monogrammed bathrobe is so elegant. It reminds me of a spa bathrobe. Love! 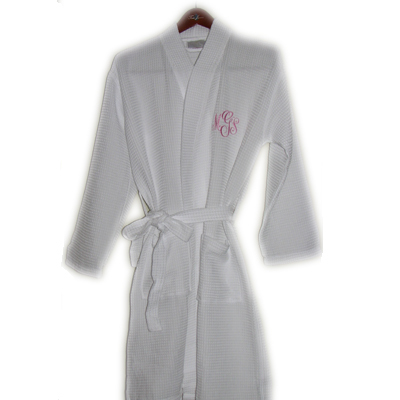 One lucky winner will receive this elegant monogrammed bathrobe from Patty's Collections. Their "luxurious and cozy white waffle robe is perfect for all climates." The 100% cotton robe can be embroidered with a monogram or a name or even a nickname on the left hand side. Use the widget to enter the giveaway. There are a lot of ways to earn entries. Earn entries for following on twitter, tweeting the giveaway, commenting on this post, liking Patty's Collection on Facebook, liking this post on Facebook, and +1 on Google+. 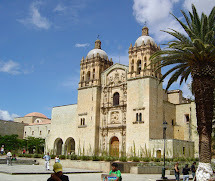 After you enter the giveaway, you'll also see a referral link that you can share with friends. You'll earn additional entries for friends who enter the giveaway through your link! So exciting. Please note that the winner must be a current or new follower of Maryland Pink and Green. Many thanks to Patty for her generosity! Update! Congratulations to the lucky winner, Carole S! I LOVE LOVE LOVE the Ribbon bag! Oh.My.Stars~ I love the robes! But oh how I adore the gator shirt! I simply MUST have one to wear in The Swamp as the KinderGators would LOVE it! My favorite item is the bathrobe. It would be perfect to take to college next fall! Loving the hot pink crab collar you pictured! The pink monogrammed bath robe is my favorite item! 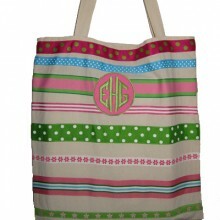 My favorite item is the navy tote with the pink monogram! So preppy and cute. Love the ribbon tote bag. I like the ribbon tote, too. Thanks for hosting these generous giveaways. loving the pink and green cosmetic bag!! My favorite is the nautical dog collar. Perfect for my Golden! Love the dog collars!My Doodle would be scrumptious in one. My Newfoundland is a bit hard to fit. He's enormous! I love the monogrammed bathrobes! They are too cute! I LOVE those bathrobes! They are so luxurious and preppy, but best of all they are affordable. Best of both worlds if you ask me! 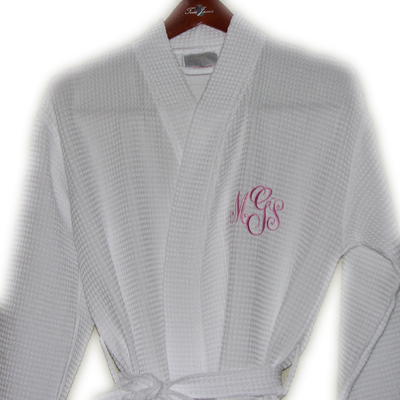 Absolutely love the monogrammed bathrobes! Thanks for this great giveaway! I ADORE all of patty's stuff! I LOVE the ribbon bag and the bathrobes!!! Fantastic giveaway-I want one!! !